IF YOU HAVE AN APPOINMENT ON A BAD WEATHER DAY, PLEASE CALL SALON AND LEAVE MESSAGE WITH YOUR NAME AND PHONE NUMBER. WE WILL TRY TO GET BACK TO YOU AS SOON AS WE CAN. ALWAYS CHECK FACEBOOK FOR INFORMATION. IF YOU DO NOT HAVE A FACEBOOK PAGE, ASK SOMEONE WHO DOES! 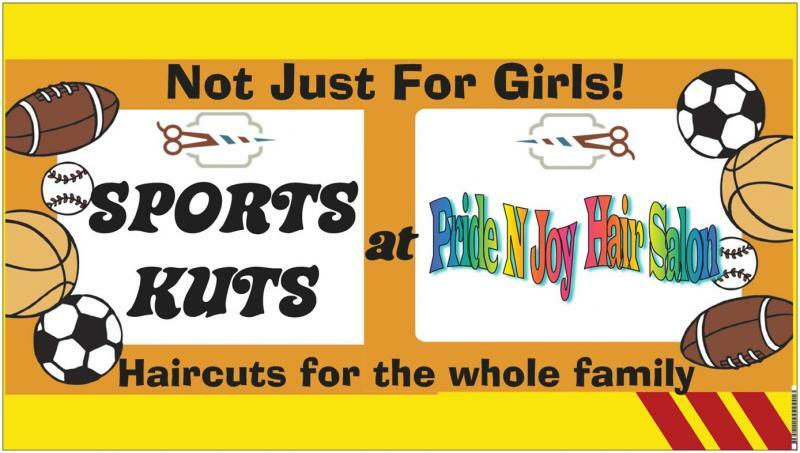 The Pride N Joy Hair Salon facebook page is a more user friendly page to relay information. If you can, please call to make an appointment! Please leave a message with phone number, so we can call you back! Copyright 2010 Pride N Joy Hair Salon. All rights reserved.